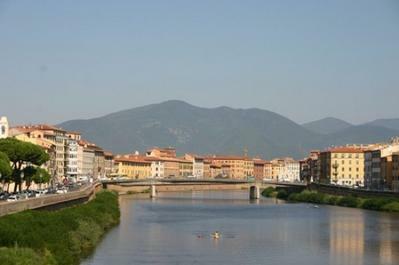 The city of Pisa covers an area of around 185 square kilometers in the Tuscany region of Italy. 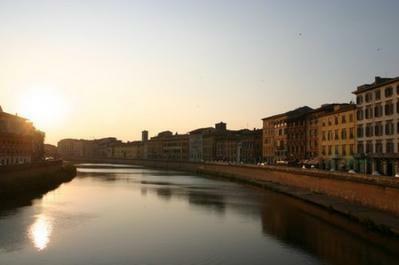 Approximately 90,000 people call Pisa home. In this city, the people speak Italian and spend the Euro. 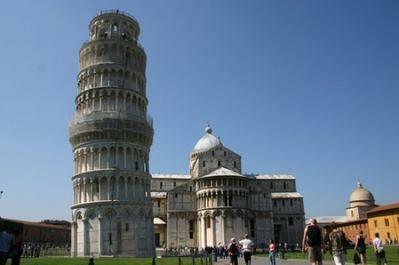 What is Pisa’s top attraction? Without a doubt, that would be the Leaning Tower. Well, it’s only one of the most iconic sights in the entire world! It was built in the 12th century to serve as the cathedral’s bell tower and today its southwestwardly slant attracts huge numbers of visitors every day. They come in droves to take a picture as they ‘hold up the tower’, with some also making the 300-step climb to the top of the tower. Sure! 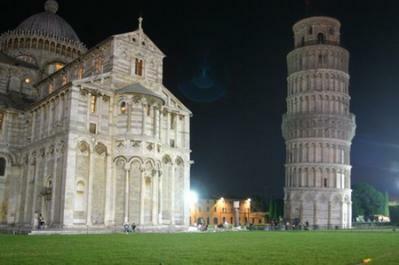 The Battistero on Piazza del Duomo with the Leaning Tower is well worth a look. It was founded in 1153, and is the largest baptismal building in Italy. What makes this building really special are its awesome acoustics. Make sure to arrive on the hour or half hour to get a demonstration of the great sound. Check out the Orto botanico di Pisa on Via Luca Ghini if you fancy a stroll through beautiful gardens. 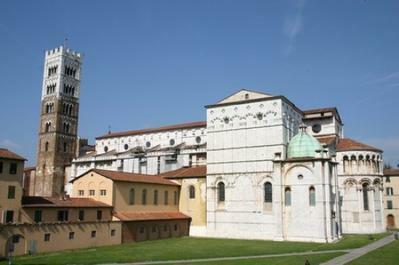 Run by the University of Pisa, it was first opened in 1591 and is home to a huge variety of plants. Some of these are housed in the tropical glasshouses. One of the coolest features of these botanic gardens is the trail of 12 ancient trees to be followed around the grounds. If I’m running low on funds are there any attractions I can visit for free? For starters, go for a stroll through Giardino Scotto Park on Lungarno Fibonacci. This awesome park can be found inside the Cittadella Nuova, a converted fortress. As you wander around you’ll notice you share the pathways with a group of cats who call this park home. A variety of activities are held here including outdoor concerts and movies. There’s also a great playground area with funky mini-trampolines that can be used by kids of all ages! To hang out surrounded by locals, head to Piazza Martiri delle Liberta. It’s an open square surrounded by tall trees and filled with benches and grassy areas. It’s not far from the Leaning Tower, so it’s a cool spot to head if you want to relax after checking out the sights of Piazza del Duomo. First of all, you should definitely check out Corso Italia. It’s the city’s most popular shopping street with a good mix of local and international brands. Some of the stores here include Intimissi and Bennetone. If you need a breather while you trek from shop to shop, there are a lot of benches along both sides of the street. Borgo Stretto is another of Pisa’s main shopping streets. A pedestrian-friendly street, here you’ll find stores selling clothes, accessories, children’s toys and much more. Both top national and international brands are well-represented along this busy stretch. 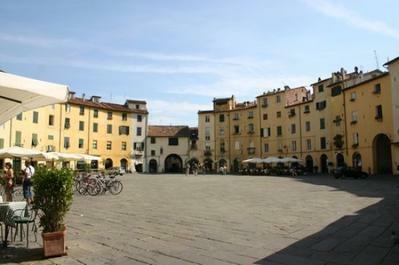 For something a bit different, check out Piazza delle Vettovaglie. As well as a selection of small boutiques and alternative offerings, it also sports a number of stalls selling everything from clothes and shores to a huge variety of fruits and vegetables. 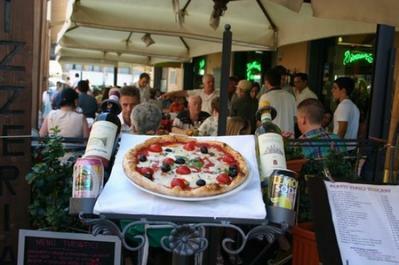 You’ll find some great bars in the area around Pisa’s university close to Piazza Dante. 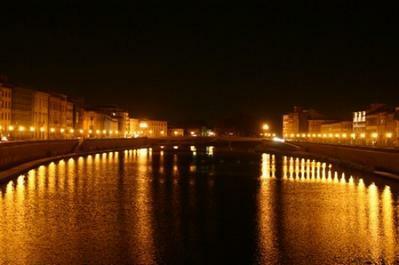 The riverbank ‘Lungarno’ areas also provide plenty of nightspots to check out. It’s unlikely that you’ll be asked to show identification, but it’s still a good idea what you carry some form with you when you head out. Bazeel on Lungarno Antonio Pacinotti is a great spot for a few drinks. Not only are there plenty of tables inside under the exposed stone ceilings, you’ll also find a spread of tables outside as well. Wherever you sit here, you’ll find the lively atmosphere really compliments the reasonably priced beers and cocktails. Another one of the riverside bars, Amaltea on Lungarno Mediceo is a very popular spot. You’ll hear it before you see it thanks to the chattering locals who stake their claim on some of the tables spilling from the bar out onto Piazza Cairoli. The interior’s pretty chic and along the counters, platters of free food are set out each evening to be enjoyed with a variety of spirits, beers and wines. If you’re looking for a colourful cocktail, then check out Ambaraba on Vicolo della Croce Rossa. This little spot is tucked in off the beaten path and isn’t far from Pisa’s university. Here you can enjoy a large selection of creative cocktails at affordable prices in a friendly atmosphere. Of course! Just strolling along the city streets and checking out the impressive buildings all lit up is a great alcohol-free night time activity. From the Leaning Tower to the twinkling lights along the river, Pisa really is a pretty spot for a walk when the sun goes down. 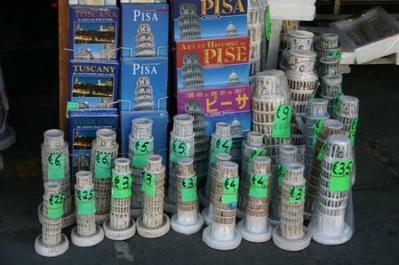 Is it expensive to eat out in Pisa? No! It’s actually really good value and it isn’t hard to find a cheap restaurant serving great pasta dishes, pizzas and so on. Keep an eye out for some of the special tourist set menus too, as these can be a pretty good deal. Lots of places also offer lunch specials at great rates. There’s no one spot to go for great restaurants in Pisa, as the city’s four main quarters all have their fair share of top-notch eateries. However, a good bet is the area in and around Piazza Dante in the Santa Maria quarter. You will find a few great places here serving international cuisine like Japanese; however, the focus is mainly on Italian fare. With the quality of the food on offer though, you really won’t be missing out. For breakfast check out Lo Sfizio on Borgo Stretto. It’s one of a few cafés along this popular shopping street and it’s one of the best. They offer a great selection of coffees and pastries in the morning. 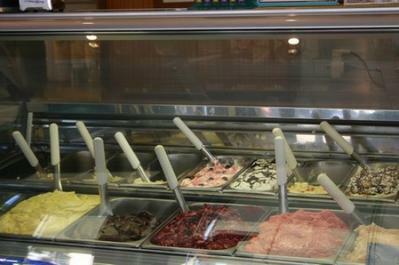 If you happen to wander along later in the day, there’s a great variety of stuff on the menu from pasta to gelato. When lunchtime rolls around, try and check out Capatosta on Via Palestro. 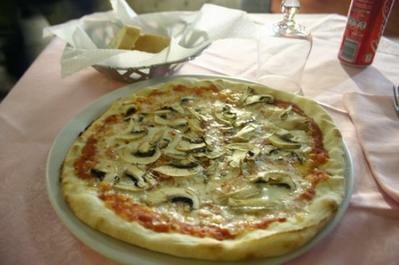 Across the road from Pisa’s Teatro Verdi, it has a great location to match its mouth-watering menu. Pasta is particularly good value at lunchtime as they do daily specials. These are written up on the board and come in pretty substantial portion. One of the best restaurants to try if you’re looking for typical Tuscan fare is Ristorante Turrido on Via D. Cavalca. It’s a welcoming spot with a great family-run feel. The menu features pasta, seafood, pizza and more, and the ravioli with porcini mushrooms (pictured) is a particularly tasty choice. It can get pretty hot in Pisa, and continually buying bottles of water to quench your thirst can cost a bit. To save some money, hang onto your empty water bottle and refill it at one of the free drinking fountains found throughout the city. What’s the main form of public transport in Pisa? That would be the bus. LAM buses run regularly on three routes across the city. These are the red, blue and green lines and they connect spots like the central station with places like the Leaning Tower.